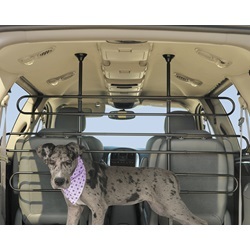 This 6 bar tubular travel barrier features rubber feet along with its expanding/contracting tube design. Installation and removal are easy with simple hand tools. Tubular, with black epoxy powder coated metal which reduces glare. 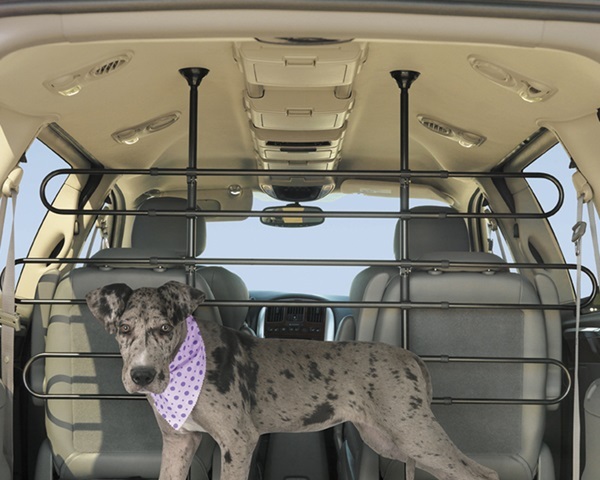 Fits most mid-size to full-size Wagons, Crossovers, Minivans and SUV’s. Imported.